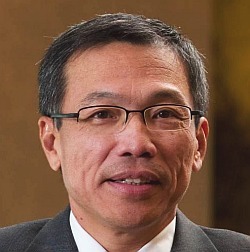 Many have found themselves in a difficult situation because they had chosen to listen to the man called Chin Kwai Fatt, the MD of PwC Malaysia. Chin Kwai Fatt, the list of corporate leaders affected by his scandalous advice, is a long one. Tan Sri Zarinah Anwar, the Chairman of the Securities Commission of Malaysia, and En Nik Mohd Hasyudeen Yusof, the Executive Chairman of the Audit Oversight Board, are two corporate leaders who have found themselves in a tight spot because they had listened to Chin Kwai Fatt. Tan Sri Zarinah Anwar. Even the Chairman of the Securities Commission is not safe from Chin Kwai Fatt's scheming mind. Although they are occupying these important positions because of the 'system', it does not mean that they could not have ascended to these positions on merit alone. That being said, they have been discredited to a certain extent because of the links with Chin Kwai Fatt. They are unable to defend themselves against the allegations against them because they trusted the counsel of Chin Kwai Fatt to the extent that, they believed that what he said will not do them any lasting harm. We know that the propositions Chin Kwai Fatt had laid at their tables were there for the benefit of Chin Kwai Fatt and PwC Malaysia, and not meant to make the Secutities Commission or the AOB into stronger entities. But when the Chairman of the Securities Commission and the Executive Chairman of the Audit Oversight Board found themselves across the table from the Managing Partner of the largest Audit firm in the country, as well as one of the "Big Four" in the world, namely Chin Kwai Fatt of PwC, they can be forgiven for making the same error in judgment that many others had made as well. Who will not believe that the country managing partner for one of the largest accounting brands in the world will not know what he is talking about? Who will think twice about accepting some seemingly innocuous recommendations from someone who represents a firm with more accounting and auditing experience than nearly everyone else? What did Tan Sri Zarinah Anwar do except believe that there is nothing wrong in accepting Chin Kwai Fatt's recommendation that an experienced Director of PricewaterhouseCoopers Malaysia will be the right candidate to run the Audit Oversight Board as the Director and number 'two' along with En Nik Hasyudeen. Tan Sri Zarinah believed that Chin Kwai Fatt's recommendation was to facilitate the rise of an efficient and effective oversight body for the auditing fraternity in Malaysia, and not for any other purposes. And we cannot deny that Mr Manohar Benjamin Johnson has the requisite experience to helm the AOB, but was that why Chin Kwai Fatt was so ready to second him to the AOB? En Nik Hasyudeen believed that there was nothing wrong with accepting Chin Kwai Fatt's man as his Director; and in allowing the registration for PwC Malaysia to be fast tracked, without having to go through the rigmarole, which the majority of the other auditors of Public Interest Entities in the country had to undergo at the hands of this man from PwC . How were Tan Sri Zarinah and En Nik Hasyudeen to know when they said yes to him, that Chin Kwai Fatt is the sort of accountant who will hire a tainted auditor for his own company? How were Tan Sri Zarinah and En Nik Hasyudeen to know that Chin Kwai Fatt is the type who will appoint two people who have never been involved in the consulting business of PwC as the Directors for PwC Consulting Malaysia Sdn Bhd, just so he could defraud the creditors to the consulting business, and complete the sham sale to IBM Corp of the consulting business of PwC Malaysia? How were Tan Sri Zarinah and En Nik Hasyudeen to know that Chin Kwai Fatt had signed a false declaration in 2008, and stated that PricewaterhouseCoopers Consulting Sdn Bhd (464379-U) was able to meet its liabilities as and when they may fall due, without disclosing several hundred million Ringgit in contingent liabilities, even though that ran him afoul of the Companies Act and the Malaysian Penal Code? Tan Sri Zarinah Anwar and En Nik Hasyudeen did not know all these and more. All they saw was the Managing Director of the largest accounting firm in the country being helpful, and not Chin Kwai Fatt, the man of fraud, across the table from them, when they fell into his trap.